If I had to choose ONE super impactful lesson that I’ve learned during the course of my fitness journey thus far, I would have to say that it involves nutrition. In particular, it’s the notion that what we consume on a daily basis will make-up a huge part of our fitness success –whatever that may be. The exercise that you put in each day, while super important in its own right, is a mere “side act” to the headlining nutrition plan that you have set in place. IF you have one set in place. Now we are all familiar with the ‘D’ word. (I will give you a minute to get your mind out of the gutter… Good? Yes? Cool.) The word “diet” has been a social discussion point and theory for as long as we know. As I kid, I remember hearing my mom talking about going on a “diet” with her friends, or I’d see yogurt commercials on TV mentioning the product as being a “…great part of a healthy diet.” Once I started to become conscious of my own issues with weight, “diet” became a regular part of my vocabulary, too. But even then, I don’t ever think I came to truly understand how the word and the action could become such a confusing and troublesome thing to really know and understand. If you’ve ever heard that cliché, “You are what you eat…,” there is, unfortunately, a great deal of truth to it. Even if you take out the whole idea of dieting, and look at what you regularly consume on a daily basis, what you put into your body will essentially dictate the type of results you will get –both from a nutrition and aesthetic perspective. As I’d blogged about before, for years I’d been on the cardio train to what I thought would be the ultimate weight loss destination. Hey, the weight did drop off during that time, but what I also learned is that losing weight & losing fat are two completely different things. So while I was cardio-ing it up during the work week and eating unmeasured ounces of baked chicken breasts along with copious amounts of butternut squash & broccoli florets, my weekend alcohol binges coupled with endless amounts of sour-cream deluged nachos, orders upon orders of fries, and the occasional bag of Doritos (which, now and then, would mean a family sized bag eaten over the course of Friday, Saturday & even Sunday nights; gross, I know) was hardly the perfect formula to creating a healthier me. When my first online coach created my first meal plan for weight loss, I was shocked at 1) the amount of food I was consuming (which felt like a lot from a volume perspective; more so than I expected), 2) the frequency that I had to eat (every 3 hours or so), and 3) the balanced make-up of calories with each meal. Contrary to popular belief, there was a decent amount of carbs to be consumed. Fats came from “healthier” sources like fish, nuts, nut butters & avocados vs. from those other sources which shall not be named. Aaand protein. Protein –the “darling” of the nutrition and fitness world; despite all the glory that comes with it, it was strictly measured per meal. (The food scale, btw, is now a permanent fixture in my kitchen.) When I transitioned from a weight loss plan to a lean bulk, the ratio of carbs, fats and proteins also shifted accordingly. In some cases, the carb amounts would lower a bit, and protein would go up –then vice-versa just depending on the various stages of my plan. This nutritional song and dance, known as managing your “macros,” would become one of the most challenging numbers I’d had to learn for myself. (BTW, I used to dance as a kid, so the analogy here is perfect AF.) And while it was a bit challenging to get used to at first, it has now become a cornerstone of my journey. When I decided to do my own “cut” last October, I started to eat according to my macros goals much more seriously. Coupling that with a dedicated daily workout plan (a mixture of isolation and compound movements, with focus on specific body parts each day), the results have been – and continue to be – outstanding… for me. Even as I shifted to a flexible diet (see link below), eating according to my daily macros goals has really helped me lose the fat. I’ve officially lost about 25 lbs since I started tracking post-Paris in early October, while maintaining a good amount of muscle that I had built during my lean bulk phases. So what are macronutrients exactly? We are all familiar with the main macronutrients (“macros” for short -le duh…), and I mentioned them earlier: carbs, fats & proteins. Depending on your current body composition and your eventual goals, the amounts you’ll need of each will differ. What will remain true is that your understanding of overall caloric intake doesn’t change: If you intend to lose weight, then you’ll need to consume at a caloric deficit –usually about 500 calories under your overall “maintenance” intake daily. For example, if my daily caloric intake for maintenance is 2,800 cals (I’m making that up, BTW), then I’d need to consume roughly 2,300 cals per day in order to eventually see weight start to drop. Within those 2,300 cals are specific amounts of carbs, fats & proteins which, in combination, will help you manage not only weight loss, but muscle growth and/or maintenance. iifym.com (iifym = If It Fits Your Macros) is probably the most well-known source on the web for macros and flexible dieting information. The site includes a macros calculator, as well as supporting articles, recipes and even plans for you to consider if this is of interest to you. The Macronutrient Calculator is another site with very high-level information on the subject, also offering a calculator to help you get your numbers quickly. 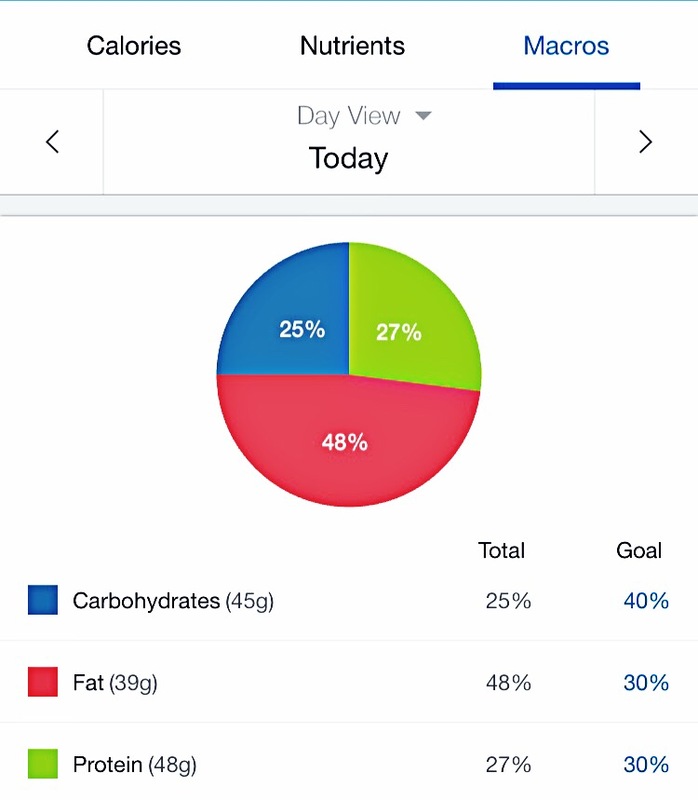 If you do decide to go down the path of counting macros, or tracking progress in general, having a good app to facilitate your food, exercise and overall progress tracking will help you go a long way. Personally, I use MyFitnessPal, but there are other equally excellent apps to consider, including Fitocracy Macros & My Macros+. Most, if not all of these apps, are available for iOS or Android devices. 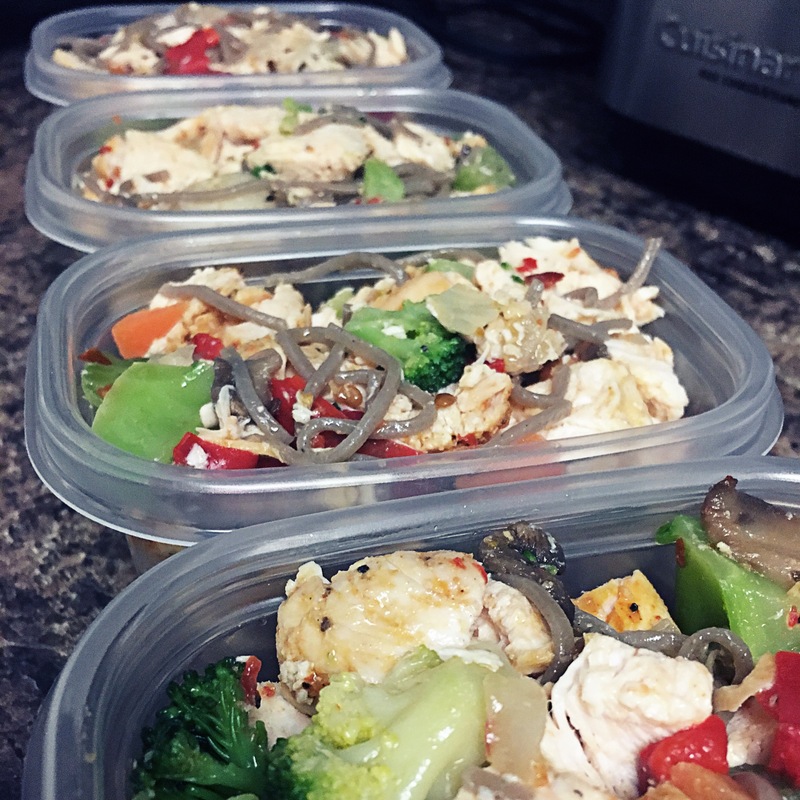 Is counting macros for everyone? I can’t speak for the masses, and each person is different with his or her own goals. Just the same, there are a plethora of nutrition methods out there –each conducive to specific needs or preferences (i.e. keto, paleo, Whole30, etc.). I can, however, speak to my experience, and counting macros has been the most effective for my current cut. As I continue on my journey, I could possibly shift things around as I learn and experiment more. Part of my journey is to find out what my body responds best to. In the end, this is your journey, so become well informed of your options. Do the research, then do the work. ← The Social Struggle: Fun or Fit? ?